Formed in the 1970s, the San Francisco-based band was led by Arcelio Garcia and Jorge Santana, the brother of Grammy award-winning artist Carlos Santana. Many of Malo’s original band members left the group after the release of their first album. The group has changed out band members throughout the years but has maintained their signature Latin rock sound that first gained them popularity. 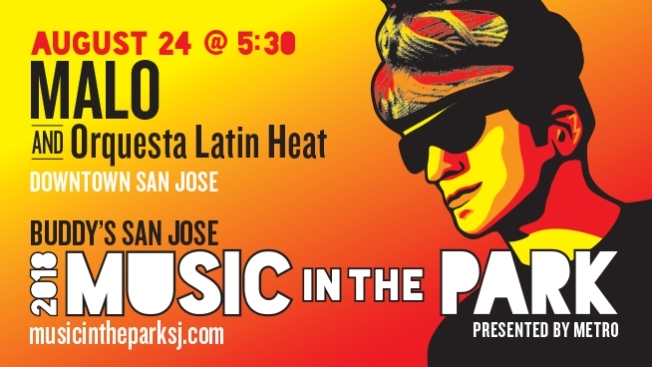 Don’t miss the opening act, Orquesta Latin Heat! Featuring a swinging 3 piece horn section, fiery rhythms and authentic Latin percussion and vocals - performing sizzling salsa, merengue, Latin jazz, cumbia and more.